Thanksgiving is here and, if you still don’t have ideas to decorate your dining room we would like to take this opportunity to share some of the best dining room sets for an unforgettable celebration. There’s nothing like this holiday spirit so get in the mood with a luxury atmosphere and a dining table surrounded by those you love the most. Here’s a timeless dining room design. Classic influences turned modern never fail, once you go bold and luxurious. 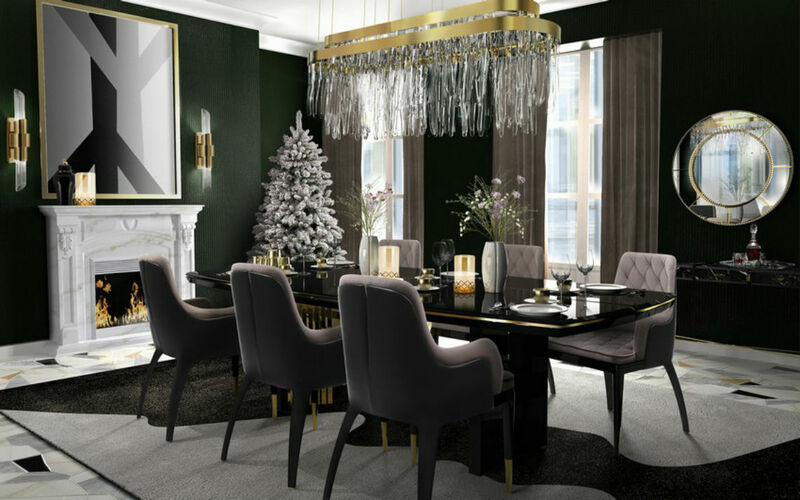 The beautiful dining table is an eternally stylish feature, combined with some dark chairs and a sophisticated suspension light. Through craftsmanship create your iconic lifestyle. 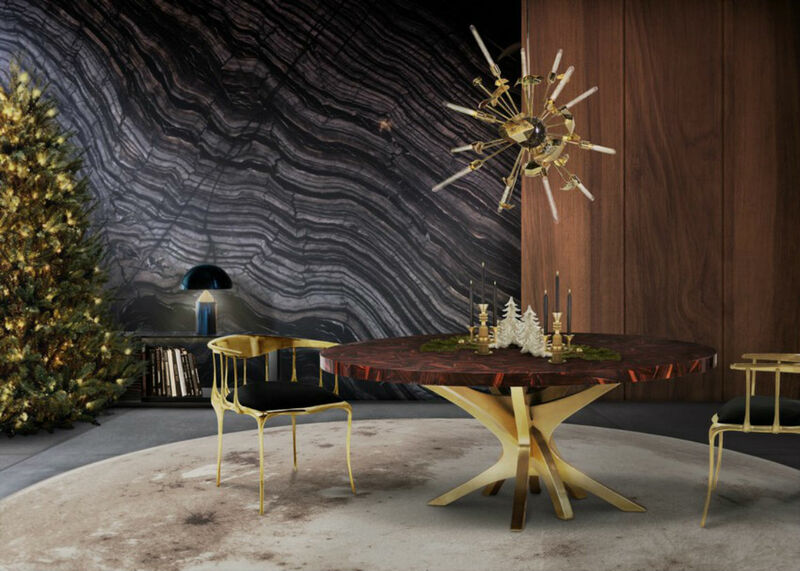 Sometimes, all it takes is a fearless dining table like this gold one to tie the room together. Add some neutral tones and a sophisticated chandelier to the composition so you can have the perfect ambiance. Powerful elements lead to powerful atmospheres. 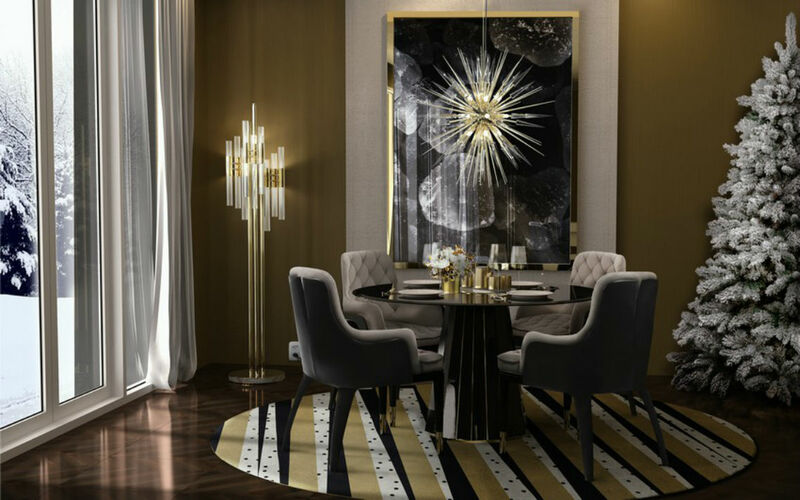 Now a glamorous ambiance where black and gold are the main colors reflecting this festive mood. This amazing dining table is as alluring as it gets and so are those stylish upholstery chairs. Besides this, the suspension light gives the dining room a timeless dimension. 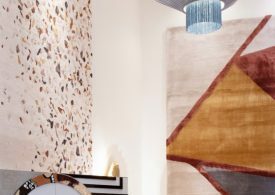 Mid-century modern is here to stay and this ambiance makes the perfect use of grey tones that go along with the cold season. This stunning dining table and those dining chairs lead to an amazing atmosphere where the smallest details are the highlights. Truly inspiring. To finish off this list, here’s one of our favorites. 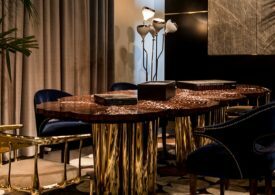 A luxurious golden dining table is bound for a remarkable dining experience and moments of togetherness. The dining chairs and the chandelier bring an exclusive design aura and make the whole dining room an impressive display of elegance.